Happy Friday everyone. Well it is the end of the month so that means a sketch challenge at AnnaBelle Stamps. This week I have had some fun playing around with some techniques that have been taught in the online card class ‘A Cut Above‘. Such fun! 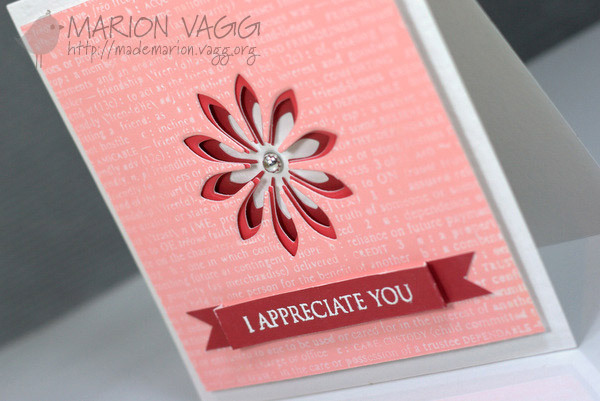 I have never used my spellbinders just for embossing before – I always die cut! I love the subtle effect. The score lines around the focal panel were made using my score board. 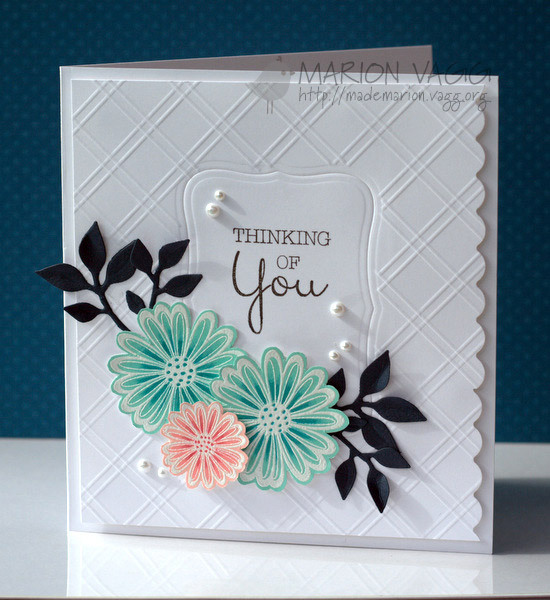 The flowers are from the AnnaBelle set Daisy Delight and the sentiment is from Fanciful Flowers. I heat embossed the flowers onto coloured cardstock and then added some subtle shading with Copics. Thanks for stopping by and be sure to check out the rest of the DT projects. Their links are on my sidebar. Well Friday has certainly come around mighty fast this week. Hope you are ready to jump into another AnnaBelle Stamps Challenge. 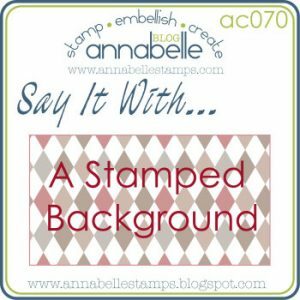 This week I have a stamped background, but it is only a partial one! 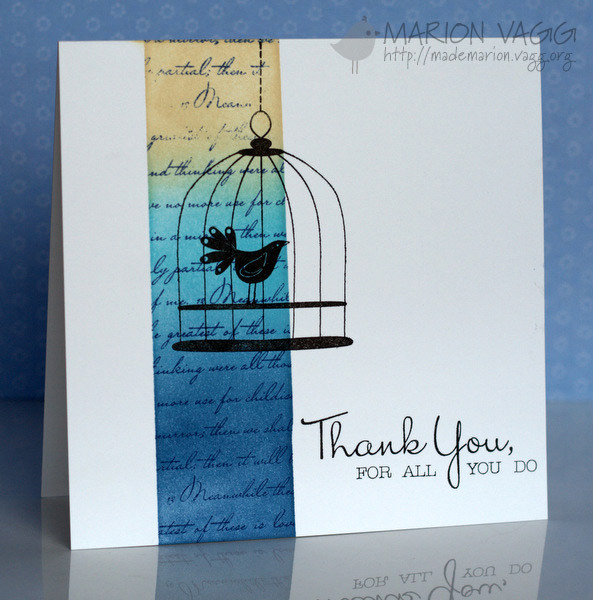 I have used BBD#6 and one of my favourites, Love Birds. This is a one layer card which is quite unusual for me. I have been drawn to cards using masking lately, so thought I would give it a go. 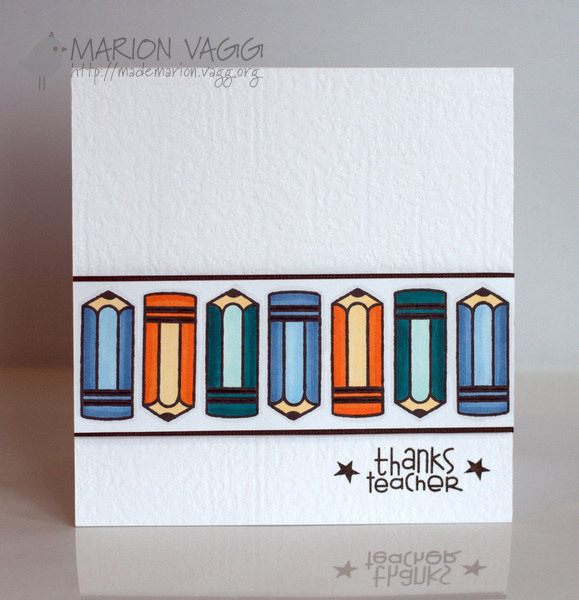 Check out Heather Telford’s blog for some other masking ideas – she is a master at it. 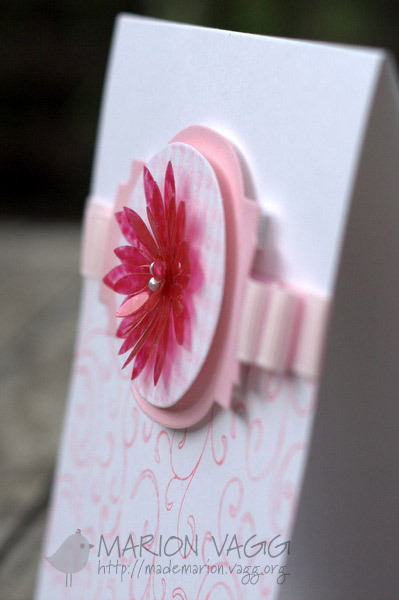 I have another card to share with you after playing around with my Upsy Daisy die from Die-namics. This time using acetate. Yep – that flower is made from acetate! I coloured it with some pigment ink that I found at my local art shop – I would have used alcohol inks if I owned them, but I don’t, so I went looking for a substitute. I was surprised at the things I found that could be used to colour acetate. The flower has 3 layers to it and I used my heat gun to shape the flowers to give them some dimension. 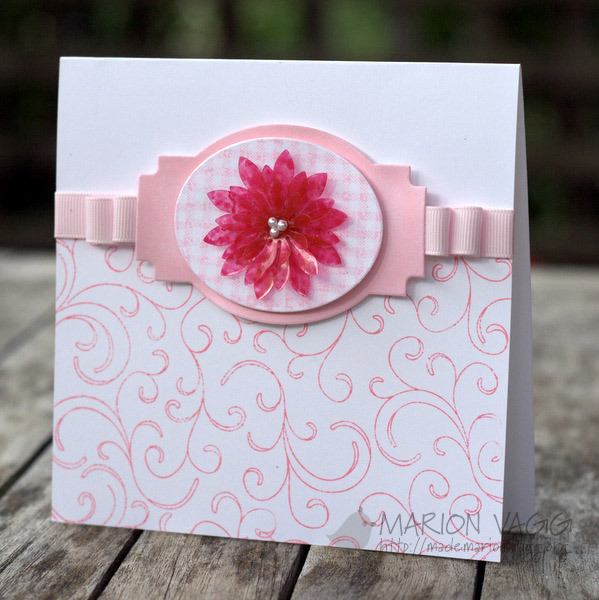 I am entering this into the Lilypads Flower Challenge sponsored by Simon Says Stamp. Other Supplies: AnnaBelle Stamps Acetate sheets, Die-namics die – Upsy Daisy, Die-namics die – Labelled Layered die, Cuttlebug, Kaisercraft grosgrain ribbon – pale pink, AnnaBelle Stamps 3mm pearls, 3D foam adhesive, Ink blending tool, heat tool, Glossy Accents and Zots adhesive dots (to adhere flower). I decided that I would also have a play around with some of the techniques taught in the Online Card Class “A Cut Above“. I used some dies from Die-namics called Upsy Daisy. They are not nesting dies, but I still think it achieved a cool effect. Well I have finally purchased my first Paper Smooches stamp set as they are just so darn cute… and I just had to go into the current Paper Smooches Sparks Challenge where the inspiration is the image below. A pretty straight forward design. I coloured in the images with Copics and then popped up the panel on some foam squares.